Prognoses that only half the UK population will be obese by 2050 ''underestimate the true scale of the problem,'' a new report has warned. 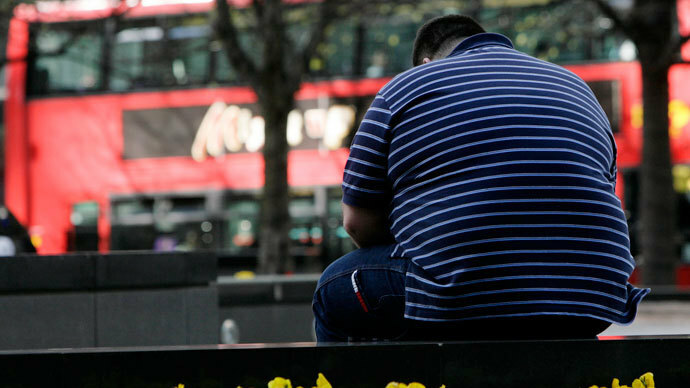 The National Obesity Forum says Britain is in for the worst case obesity scenario. "It is entirely reasonable to conclude that the determinations of the 2007 Foresight Report (i.e. that half the population might be obese by 2050 at an annual cost of nearly 50 billion pounds), while shocking at the time, may now underestimate the scale of the problem,"the report by the National Obesity Forum stated. "Obesity and weight management are a direct cause of many health problems and are already placing enormous demands on the NHS at a time when health resources are stretched like never before. The current situation is unsustainable," Professor David Haslam, the forum's chair said. Hard-hitting action is needed to tackle the problem, experts say. According to the UK Department of Health, most people are overweight or obese in England. This includes 61.9 percent of adults and 28 percent of children aged between 2 and 15. 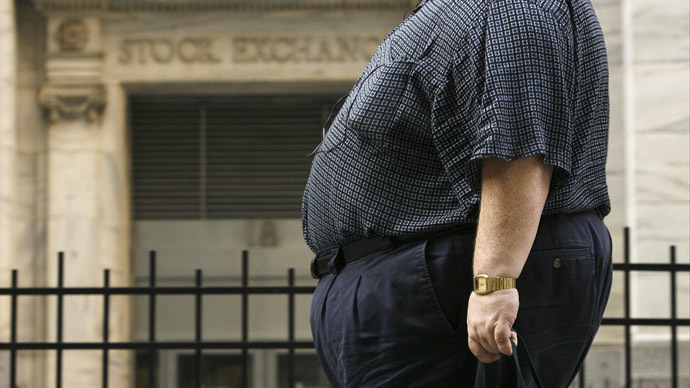 The Academy of Medical Royal Colleges’ 2013 report on obesity stated that the UK had become "the fat man of Europe". 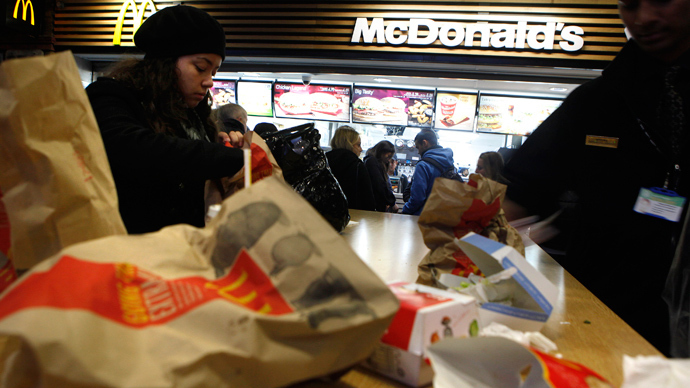 An abundance of obesity has been linked to three major factors: Fast food, ready meals and lack of exercise. People munch their high-calorie guilty-food pleasures, such as burgers and fries, and drink their beers and milk shakes sitting in front of their TV's and PCs. A sedentary lifestyle is turning families into couch potatoes, with obesity guaranteed. What's even worse is that the disease boosts the risk of heart disease, type-2 diabetes, cancer, hypertension, osteoarthritis and depression, just to name a few. According to the UK's Faculty of Public Health, these diseases together cause over 10,000 obesity-related premature deaths annually in Britain. "Studies and data published since 2007 demonstrate the increased prevalence of obesity, morbid obesity and wider weight management issues. They show how widespread poor nutrition and food choices are amongst the population, and how little knowledge exists about proper hydration and its importance," David Haslam noted. Meanwhile, according to a report published by the Institute for Fiscal Studies (IFS) last year, the rising costs of healthy foods, combined with rising unemployment rates, are pushing thousands of Britons towards the increasing consumption of produce high in fats and sugar. Health problems associated with being overweight or obese cost the NHS over 5 billion pounds every year. In 2007, the Foresight report "Tackling Obesities: Future Choices" revealed worrying levels of obesity in the UK, warning that by 2050, 60 percent of men and 50 percent of women could be clinically obese. Without action, obesity-related diseases will cost an extra 45.5 billion pounds ($70 billion) a year. According to research by The University of Glasgow, there has been a marked increase in Body Mass Index (BMI, calculated by dividing your weight in kilograms by your height in meters squared) and waist size even at a younger age in England. In young men aged 18-22, the prevalence of a waist size greater than 102cm has more than doubled, from 4.6 percent to 10.7 percent, in the periods of 1994-96 and 2008-10. In young women the prevalence of a waist measurement greater than 88cm increased from 9.25 percent to 24.4 percent. The number of people with bigger waistlines also increased over the period, with the percentage of people with a large waist circumference – 102cm for men, 88cm for women – increasing from 30 percent to 70 percent in the age ranges 80-85 for men and 65-70 for women. While a BMI of 30-40 is considered obese, and above 40 is very obese, the proportion of people with a ‘normal’ BMI (18.5-25) has dropped to only about 15 percent of UK adults by the age of 65. "This rather small proportion now includes unhealthy people who have illnesses that have caused weight loss or prevent weight gain, as well as those who are genuinely healthy and active. So older people with an apparently ‘healthy’ BMI are not all healthy," Professor Mike Lean explained. However, the UK health watchdog, the National Institute for Health and Care Excellence (Nice), says GPs should not blame patients for being obese, but be respectful to "minimize harm", while those running weight management programs should make it clear there is no "magic bullet" for weight loss. Nice had earlier suggested that doctors stop using the term "obese" because it could be considered "derogatory". It turned out many have trouble discussing weight issue with their patients, who are usually hyper sensitive about the subject matter. In 2012 it also emerged that several NHS Trusts refused to give certain treatments to fat patients unless they lose weight. In some parts of England, obese people, along with smokers, are currently being denied operations such as IVF, breast reconstructions and a new hip or knee. According to the medical magazine Pulse, 25 of 91 primary care trusts had imposed treatment bans for the obese and smokers since 2011. Meanwhile, according to a Doctors.net.uk survey, over 50 percent of doctors agreed that the NHS should have the right to withhold non-emergency treatment from patients who do not lose weight or give up smoking.